The Donnelly Brothers were an indie band from West Belfast. 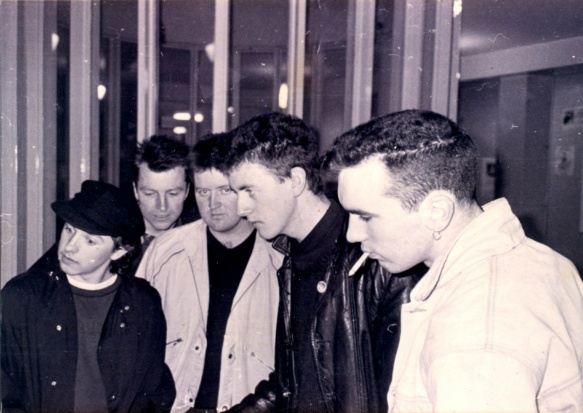 They were formed in 1985 by Martin Burns (vocals), Bap McGreevy (lead guitar), Stephen 'Punker' McGreevy (bass), Paddy O'Neill (guitar) and Barney Carson (drums). They played a few gigs around Belfast and made a few demos, including "Clawing at the Sky" (1986). This lineup had a post-punk sound, with effect heavy guitars, darker and heavier than the later recordings by the second lineup. Barney and Paddy left after a year to form their own band. A 14-year-old drummer named Ali Donnelly joined along with rhythm guitarist Nick Sadlier, ex of Belfast punk band Rebel. This second line-up was an indie guitar band with a slight country twang, echoes of rockabilly/psychobilly influences, and a light and nimble beat. 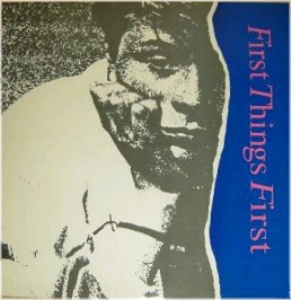 The Donnelly Bros supported The Wedding Present on their Irish tour in 1988, playing Galway, Cork (Sir Henry's), Dublin (McGonagles), Derry and Belfast (Art College). They also played with The Jazz Butcher, The Prisoners and The Charlatans. Hot Press described their sound at the juncture as 'manic trash country'. They split in 1989. The Fanning session plus a couple of older demo tracks ("Boy In A Biscuit Tin", the aforementioned "Clawing at the Sky") are now available on the band's myspace page. Stephen McGreevy (bass) and Barney Carson (drums) went on to form indie rock trio Non-Stop Yellow in 1991 with Paul Turner (guitar/vocals) who released two singles (on Screw Records and Beat Crazy Records) in the early 90s, swapped Barney Carson for Gary Thompson (ex Burnin' Kisses), recorded demos for Polydor Records but split in early 1994 before work on an album was completed. Nick Sadlier formed long running Irish reggae act Bréag who are still active twenty years after their inception circa 1994. • Liberty and Honesty / ? ?